Jackie Chan is an amateur archaeologist, who wants to explore the world, but often life brings him completely different challenges. Use your fighting skills during missions and deal with those, who want to stop you. 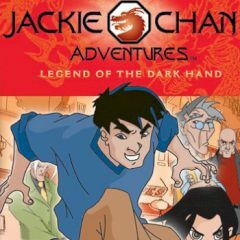 Take participation in the adventures of Jackie Chan. There are forces in this world, that only a young archaeologist can spot. Time to time Jackie finds something interesting and powerful. This time he has one complicated mission, and without your help he won't complete it. Control Jackie and knock all enemies on your way.